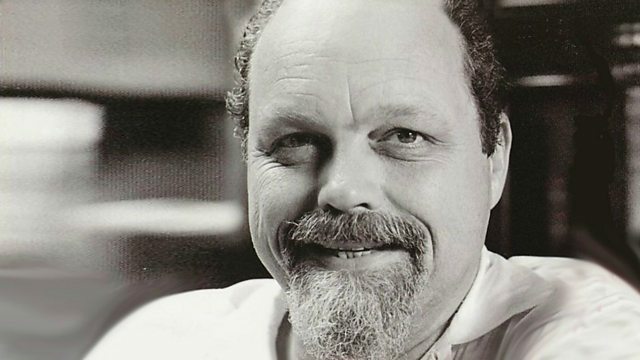 Marking the one hundredth anniversary of the birth of composer Lou Harrison, Verity Sharp plays a mix of music that uses unequal temperaments, or alternative tuning systems. Marking the 100th anniversary of the birth of composer Lou Harrison, Verity plays a mix of music that uses unequal temperaments, or alternative tuning systems. Born on the 14th of May 1917 in Portland, Oregon, Harrison's experiments with tuning challenged the musical establishment alongside his contemporaries and colleagues, including John Cage, Aaron Copland, Virgil Thomson, and Leonard Bernstein. Harrison claimed that the "equal temperament" on which the Western musical tradition is built "deprives us of real beauty - it deprives us of things we are genetically wired for". Today, musicians from Bang on a Can to Björk are indebted to the tuning experiments and musical hybrids that Harrison pioneered half a century ago. His explorations of new tonalities at a time when the rest of the avant-garde considered such interests heretical set the stage for minimalism and musical post-modernism. Tonight, expect to hear echoes of Harrison in the work of Wendy Carlos, Ben Johnston, Duane Pitre, and many more. The Unreleased Ergo Phizmiz Volume One. Composer: John Cage. Ensemble: Percussionists of the California Symphony Orchestra. Conductor: Barry Jekowsky. Solo for Voice 58: 18 Microtonal Ragas. The Harmonic Series (A Compilation Of Musical Works In Just Intonation). Choir: Chorus and Chamber Chorus of the University of California at Berkele. Ensemble: American Gamelan. Conductor: William Winant. Performer: John Schneider. Performer: Amy Shulman. Just West Coast (Microtonal Music For Guitar And Harp). Music for an Elliptical Orbit.